Google Analytics Tweaks 5.0 out of 5 based on 1 votes. It should be the perfect marriage; open-source CMS Joomla and a free web analytics tool like Google Analytics. Unfortunately this isn't always the case. Getting the most out of a Google Analytics implementation on your Joomla website can be quite tricky. It involves having a Google Analytics plugin that tracks the most important visitor data. No plugin is perfect. 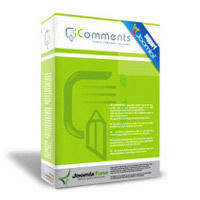 It is difficult to tracks different Joomla components and modules with a plugin. That's why we tweak. We create simple additional plugins or hacks to create more insight and we edit some of the code of plugins to better understand the way your website visitors use their functionalities. We try to make these instructions as easy as possible, but some of the tweaks may still require some basic coding skills to implement. Our list of Google Analytics tweaks for Joomla will grow as we get more questions on our website. We are happy to receive input from our readers. Excellent Google Analytics insights are available with this professional Google Analytics plugin. This plugin has been developed to track more than just visits. Our light Google Analytics plugin is a basic, popular plugin to get the most important data about your Joomla website visitors. Not sure which Google Analytics plugin works best for you? We have made a simple comparison sheet to make your choice a bit easier. You can now track download in Google Analytics without any coding or other hassle. We have integraded this functionality into our Profesional plugin. Your registered users will use your website in a different way than other visitors will. Segmentation is key to serve your loyal visitors better. No website is perfect. We want to make sure that our website is functioning properly. By tracking errors we can optimize our website easily. Most websites have social share buttons. Facebook is a popular one. We track the clicks on the button to measure social engagement on our website. Tracking subdomains in a different way is required to ensure data quality. Make a change in the tracking code to make it run properly. Loading time is an important metric for an excellent user experience and to ensure indexation of all the page of your website by Google. 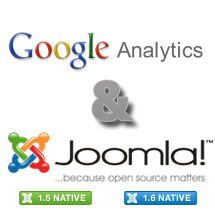 We have developed a simple plugin to add a Google Plus One button on your website. In addition we track clicks with Google Analytics. Easily embed Youtube videos on your website with our plugin. We also track views, and duration of views of the videos in Google Analytics. With a simple hack you can track all the comments posted on your Jcomments component in your Google Analytics account. We wanted to track our multiple contact forms in Joomla with event tracking in Google Analytics. Find instructions on our website.